Staff Faculty CS | Staff Department Software Engineering (SoftEng) | Members of EMC. Section 3. | Members of Alumni Association | Members D.64.052.08 | Members D.64.052.01 | Members Admission Board | Members Academic Council | Member of STC. Section 2. | Editorial team "ACS and Automation Devices"
1988 – graduated with honors from the Kharkov Institute of Radio Electronics, the speciality – Design and manufacturing of radio devices. 1992 – graduated from the Ph.D school of the Kharkov Institute of Radio Electronics, the specialty – 01.04.03 – Radiophysics. Since 1992 – Candidate of Technical Sciences, since 1993 – Senior Researcher, since 1994 – Associate Professor of the Department of Computer Software of Kharkov Institute of Radio Electronics. 1994 – Associate Professor of the Department of Computer Science and Special Equipment of Kharkov Institute of Internal Affairs and Associate Professor of the Department of Computer Software of Kharkiv State Technical University of Radio Electronics in combination. 2005 – Head of the Department of Informatics of Kharkiv National University of Internal Affairs. 2006 – Doctor of Technical Sciences, Kharkiv National University of Radio Electronics, the specialty – 05.13.23 – systems and means of artificial intelligence. 2007 – awarded the title of professor, since 2008 – Professor of the department of computer software, Kharkiv National University of Radio Electronics in combination. 2010 – Chief of the Training and Research Institute of psychology, management, social and information technology of Kharkiv National University of Internal Affairs. Since 2012 – Rector’s assistant of Kharkiv National University of Radio Electronics. Since 2013 – Executive Secretary of the Admission Board of Kharkiv National University of Radio Electronics. Lecture courses: Hypertext and Hypermedia, Algorithms and Programming Basics, Methods and Means of Computer Information Technology, Fundamentals of Scientific Research. 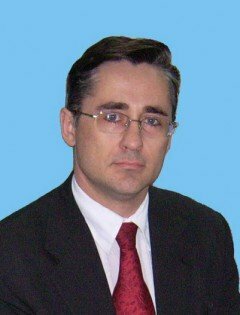 Research interests: computation intelligence, medical signal processing, identification and visualization of abnormal situations. A member of the specialized councils D 64.052.01 and D 64.052.08.